Quality Honda engines and Annovi Reverberri motors are used for reliability and durability. Units come complete with filters in a galvanised frame for ease of portabilty. 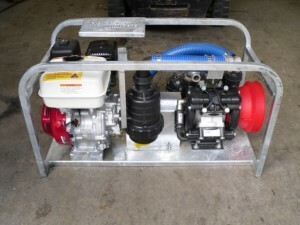 High volume durable diaphragm pumps. Multipurpose functions include weed spraying, pressure cleaning equipment, hosing yards and fire fighting with an alternative regulator. No priming required. 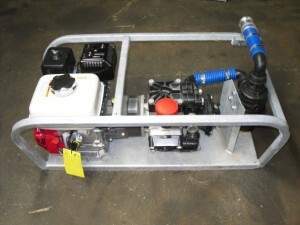 6.5HP motor with 135 LPM pump – Powerful and lightweight, handles all recommended nozzle configurations. Incorporates heavy duty reduction gearbox. 9HP motor with 185 LPM pump – Enable extra drive if all nozzles are on, for penetration to a dense oily Merino fleece. Incorporates heavy duty universal drive.